In the summer of 2010, photographer Brandon Stanton began an ambitious project -to single-handedly create a photographic census of New York City. The photos he took and the accompanying interviews became the blog Humans of New York. His audience steadily grew from a few hundred followers to, at present count, over twelve million. In 2013, his book Humans of New York, based on that blog, was published and immediately catapulted to the top of the NY Times Bestseller List where it has appeared for over forty-five weeks. Now, Brandon is back with the Humans of New York book that his loyal followers have been waiting for: Humans of New York: Stories. Ever since Brandon began interviewing people on the streets of New York, the dialogue he's had with them has increasingly become as in-depth, intriguing and moving as the photos themselves. 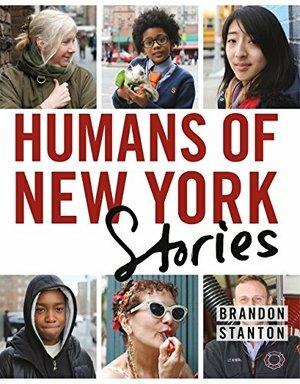 Humans of New York: Stories presents a whole new group of people in stunning photographs, with a rich design and, most importantly, longer stories that delve deeper and surprise with greater candor. Let Brandon Stanton and the Humans of New York he's photographed astonish you all over again next fall.